Plantation 3 Stars White Rum is the ideal cocktail rum with a keenly vibrant and well balanced profile that stands out compared to other white rums. The point of difference here is that whilst a white rum, the blend uses young, some aged rums and also old rums, with the colour removed via a process of carbon filtration. After distillation, Plantation Rums are aged for a number of years in oak barrels in warm Caribbean cellars and then transported to the cool, ancient cellars of Chateau de Bonbonnet in Cognac. 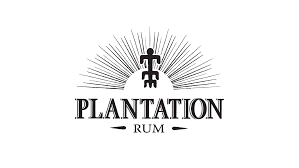 Plantation 3 Stars displays the finesse and style of Trinidad and Barbados, well integrated with the character and fuller flavours of Jamaican rum. On the nose, delicate notes of tropical fruits intertwined with brown sugar, coconut, honey and ripe banana. On the palate it displays subtle spices and floral notes with a finish of sugar cane and vanilla. Daiquiris, Pina Coladas, Mojitos, Mai Tais - this is the rum to elevate your at-home rum cocktails.